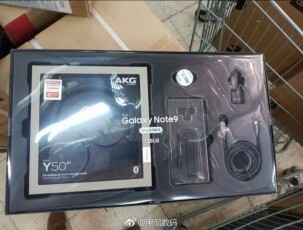 Samsung will reward early Galaxy Note9 adopters with a choice between the AKG Y50 BT wireless headphones (normally $299) or 15000 Fortnite V-Bucks. Or a choice of both for a price of $99. The news comes from Reddit user Wan997. 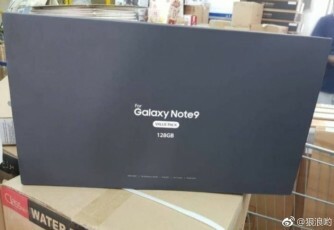 The information has been substantiated by a leaked Galaxy Note9 Value Pack retail box that includes the aforementioned AKG headphones along a car mount (including a car charger and long cable) for the phone. According to the source the S Pen will double as a remote shutter for the Galaxy Note9 camera (not new), a double press on the S Pen button will switch between front and back cameras and the S Pen will be rechargeable with 40 seconds of charge delivering up to 30 minutes of use. The S Pen will come in different colors and the color of the S Pen will determine the color of your Screen Off Memo. Naturally Samsung will sell different color S Pens (no word on price). The display will be slightly bigger at 6.4-inch but the footprint of the phone will remain the same. The camera will feature the now-standard AI tech that will optimize the performance based on the scene - landscape, people, animals, food, etc. The camera will reportedly have speech bubbles that pop up to alert you of any imperfections like blurriness. In relation to Samsung DEX, the Galaxy Note9 will be able to enter DEX mode without a dock, just by using a USB-C to HDMI cable. While in DEX mode you'll be able to scribble notes on the Galaxy Note9's display. According to the source the Samsung Galaxy Watch (formerly expected to launch as Gear S4) will come in 46mm and 42mm sizes (the Apple Watch comes in comparatively small 38mm and 42mm configurations). The 46mm will be able to endure for 7 days on a charge and will roughly be the size of the Gear Sport. The Galaxy Watch will launch with a new Rose Gold color and will feature some 40 workout modes (up from the 10 of the Gear S3). Finally the Galaxy Watch will not feature any magnetic secure transmission technology for Samsung Pay and instead will rely on NFC to achieve payments.